A big rig crash closed a portion of Interstate 15 near Interstate 8 in Mission Valley early Thursday - just one of a number of SigAlerts issued around the county. 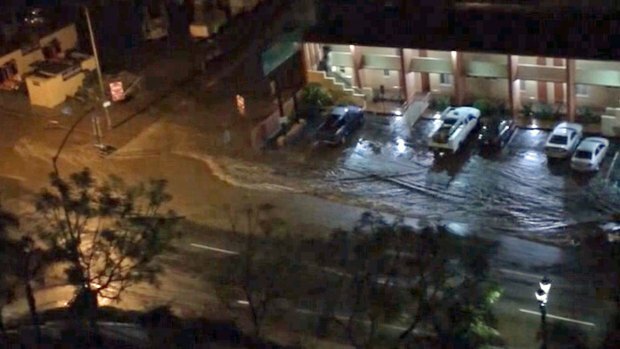 An overnight storm dropped large amounts of rain on San Diego's roadways, creating dangerous driving conditions for the morning commute. Between 3:30 a.m. and 4 a.m., there were several crashes along I-15 just south of the interchange with I-8. 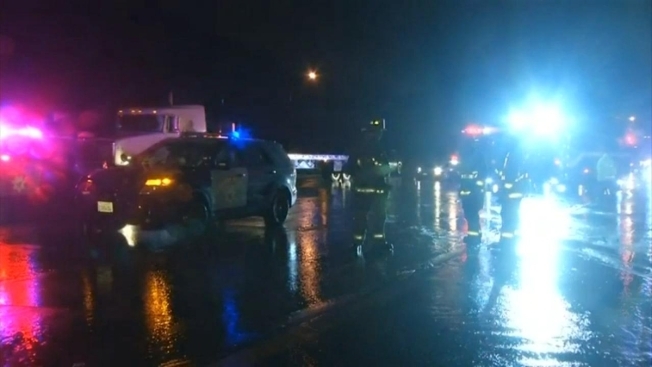 The driver of a big rig lost control in heavy rain, slammed against the center median several times before coming to a stop. NBC 7's Elena Gomez reports from Mission Hills where several cars were submerged in excess water. A box truck struck the first big rig. Another vehicle crashed because of the collision, the California Highway Patrol said. No one was injured. There was a mild diesel spill, officials said. 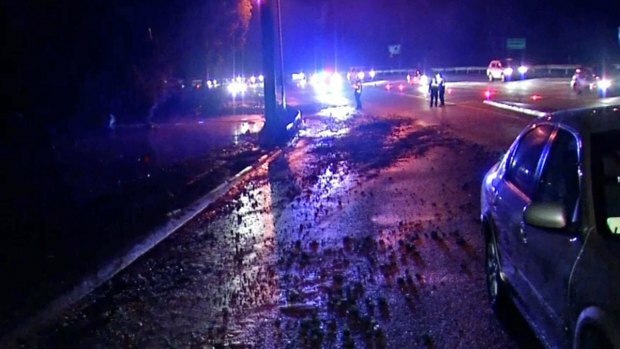 Crews swept debris to the side of the road to get lanes reopened as quickly as possible. All northbound lanes were opened as of 6:45 a.m. There were several other SigAlerts issued in the morning commute due to standing water and rain-related collisions. The ramp from State Route 163 to I-8 was closed around 6:30 a.m. after a sports car flipped on its side. "The stretch all the way through the park was a mess," said NBC 7's Traffic Reporter Whitney Southwick. NBC user Gary Fletcher submitted this video of flash flooding at 3:00 a.m. to isee@nbcsandiego.com. The interchange from westbound State Route 54 to northbound Interstate 805 was closed due to standing water. And along Interstate 5 to SR 163, a SigAlert was issued after at least three cars were stalled after attempting to move through several feet of standing water. 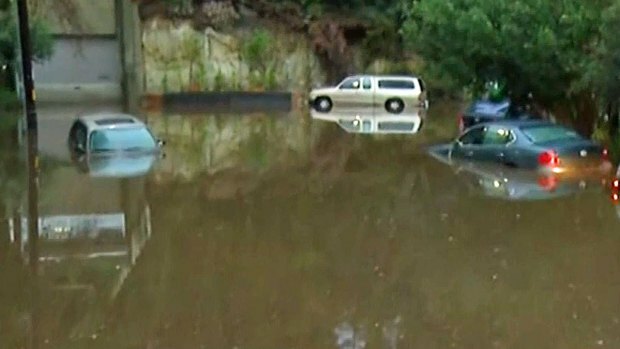 One man told NBC 7 the water was up to his driver’s side door. CHP expected the section of highway to be closed for at least an hour while rocks, mud and debris were removed. One CHP officer told NBC 7 he had never seen that much rain in such a short window of time. San Diego Gas and Electric reported that more than 2,000 people were without power because of the weather, ranging from the Point Loma area to University Heights. NBC 7's Nicole Gomez reports on flooding that trapped several cars along SR 163 near downtown.